I have had a fillers with Mr. Wallace and was really amazed at how my experience differed from other clinics and surgeons I had seen. He gave me detailed feedback on how my desires matched my features and how a procedure was likely to affect my face OVERALL. He didn't just agree to go forward with something because I asked, he gave me his expert opinion and steered me in a direction that left me happier than I thought possible with the results. I had a breast augmentation done my Mr Wallace and I could not thank him enough! He listened to what I wanted and gave me great advice! I recommend him to everyone who asks about my surgery! I felt totally at easy and looked after throughout the whole experience! Making the consultation with Mr Wallace was the best decision I could have made! I’m so thankful for how my results have turned out! No pain at all! Near enough no scar! Couldn’t be happier!! This February 2018 I had brow lift, mid face lift, and eyelid blepharoplasty carried out by Mr Wallace. Then in July I underwent a face lift and neck lift again by Mr Wallace. Both operations went really well and I couldn't be more pleased with the results. From our first meeting he put me at my ease and was very understanding about what I would like while also pointing out what would be a realistic goal. Aside from his obvious professional skill and expertise I found Mr Wallace to be very friendly, approachable and above all genuinely caring. I felt that from start to finish that I was in very safe hands. I couldn't be happier with the outcome of my breast enlargement by Mr Wallace. He made me feel extremely comfortable straight away and throughout are appointments. He really listened to what I wanted and didn't put me under any pressure to go ahead with the procedure. He took the time to get to the decision for the right size and shape for me and they look so natural im so pleased. The operation itself went really well and my scars are barely noticeable. I now have a fuller bust with a natural look, I wasn't expecting them to look as good as they do! I would definitely recommend Mr Wallace to anyone! I cant recommend Mr Wallace enough, i have had a breast augmentation done by him and he was very helpful in discussing all of my options and the pros and cons of surgery throughout the consultation and follow up appointment, he is very professional throughout, his secretary Debbie is also very helpful in answering any queries i had to ask after my consultations. i cant thank him enough for how well the operation had gone and how the results have turned out, i now feel like i look how i have always wanted and my confidence has sky rocketed immediately after the operation. The overall care i was given at Mount Stuart was amazing and i cant fault anything from the nurses, anaesthetist to the surgeon. Mr Wallace and Debbie were very easy to talk to about what i wanted and he gave me advice on what he thought would be best for me. i highly recommend him. I went to Dr Wallace for a Full Tummy Tuck and lipo suction from the moment I met him I knew he was the right consultant for me, he listened to what i wanted but was honest to say what was achievable, he talked me through every step. the day of my operation again constantly reassuring me, when i first got to look at myself I was amazed how I had no bruising and the scar was amazing and Mr Wallace gave me a new belly button which in a few years you would never know its not my original. 3 months on I feel fantastic I so wish I had done this years ago. I have no doubt in recommending Dr Wallace. I'm delighted with my botox treatment, I've since received many compliments on how well I look! Mr Wallace listened attentively, he explained what to expect, and took the utmost care, his ethos is to achieve a natural look which is exactly what I desired. He inspires absolute confidence, I will definitely be back and have no hesitation in recommending him. This review isn't complete without mentioning Debbie, who is an absolute pleasure to deal with, very efficient and helpful. Mr Wallace is a highly trained Consultant Plastic, Reconstructive and Aesthetic Surgeon with sub-specialist expertise who offers a comprehensive range of modern Cosmetic Surgery as well as Non-Surgical Cosmetic Treatments with botulinum toxin and dermal fillers. He is a full member of the British Association of Plastic, Reconstructive and Aesthetic Surgeons (BAPRAS), full member of the Rhinoplasty Society of Europe, Fellow of the Royal College of Surgeons of Edinburgh and is on the GMC Specialist Register for Plastic Surgery. 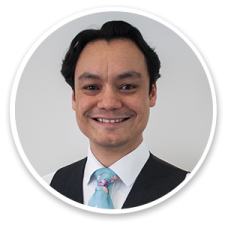 In the NHS, Mr Wallace is a substantive Consultant Plastic, Reconstructive and Aesthetic Surgeon at the Royal Devon & Exeter Hospital, Honorary Consultant at Torbay Hospital, and runs additional clinics at Axminster Hospital. Mr Wallace is also a registered specialist with the leading private medical insurance providers. For general enquiries or to arrange a consultation, please contact Debbie, private secretary to Mr Chris Wallace.